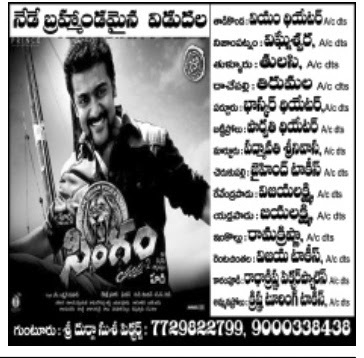 Yamudu 2 Releasing Today. 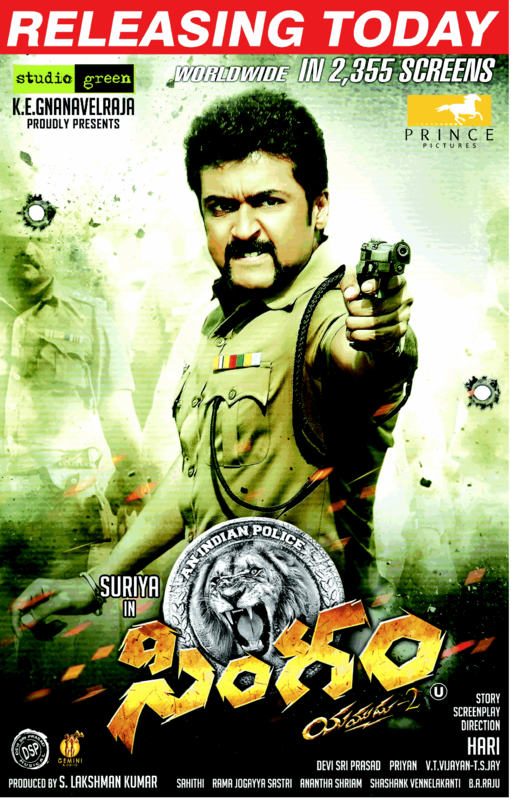 It is releasing in very good number of theaters in Andhra Pradesh. 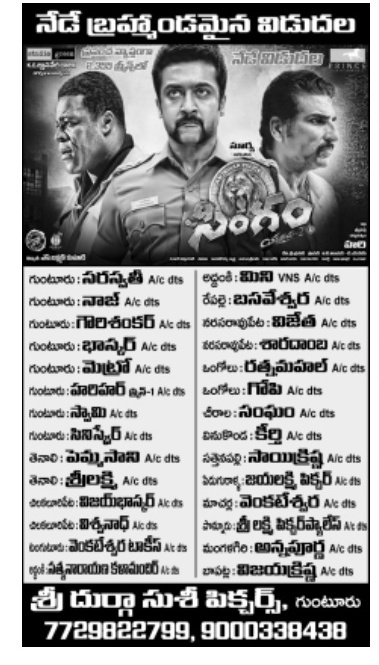 Yamudu 2 Was a Huge Hit here in AP. Surya was in disparate of Success. 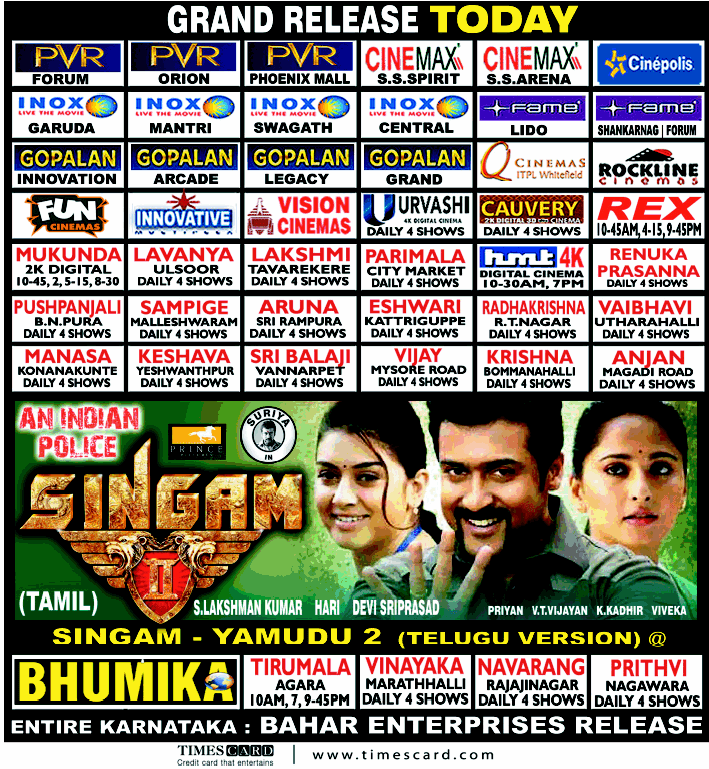 Here are the theater lists of Singam .